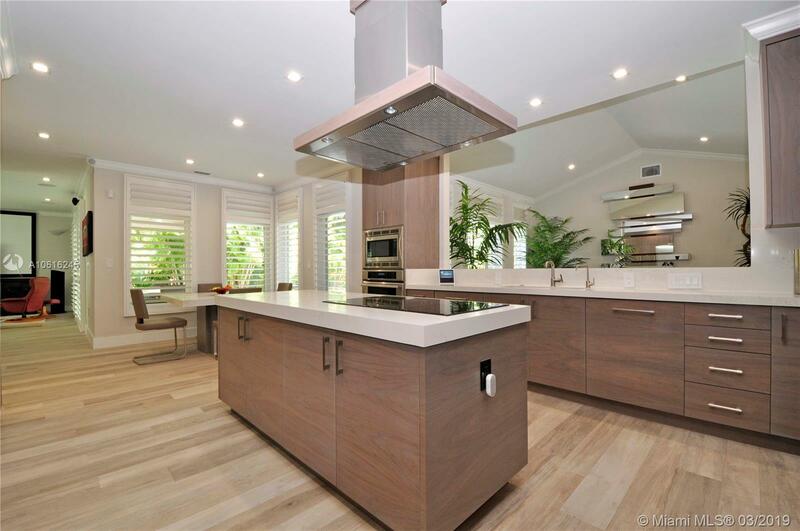 Magazine quality & extensively remodeled newer built home in the "heart of Coral Gables". This 11,300 sq. ft. corner lot is a stunner! With 4 bedrooms (split-plan), 3.5 baths, open tropical pool, & 2-car side-entry garage. New roof, new impact windows & doors, new gorgeous kitchen, new bathrooms, new porcelain tile floors, new fixtures, new recessed LED lighting throughout the entire home & remodeled pool and patio are just a few of the updates you will enjoy. Tall ceilings welcome you in the home & open to the formal living room, formal dining room, state Of The Art kitchen with quartz counters, wood cabinetry, Thermador appliances, family room with an in home theatre. Master bedroom suite is oversized with the most luxurious bathroom you have ever seen. This home is a show stopper! Directions: Home Is Easy To Locate: (1) Take Lejeune Rd To Zamora Ave (9 Streets North Of Miracle Mile) Turn West & Go To Home. Or (2) Take Granada Bl, Turn East On Madeira Ave, Turn North On Casilla. Home Is On The Corner Of Zamora Ave & Casila St.